Thanks to new Pony Club Pizza blog sponsor, Blue Bridle Insurance we now have a series explaining Horse Insurance. Does your insurance properly cover your equine liability exposures? Many private horse owners assume that their homeowners insurance will cover them if there is a third party claim against them. The fact is that many homeowners policies do not cover equine liability. And if you are in the horse business, even on a small scale, you risk losing everything if you are confronted with a law suit and do not have proper insurance coverage to provide defense and to protect your assets. As a horse owner, you realize the importance of protecting the investment you have made by insuring your horse for mortality with major medical added. However, have you made sure that you have protection if your equine companion were to injure someone or cause property damage? Despite all precautions, accidents do happen. Some horses will bite, may kick a by-stander and some are skilled escape artists! A loose horse can cause all kinds of damage, for example, to your neighbor’s landscaping, end up in their swimming pool (yes, it happens) or worse, cause a dreaded car accident resulting in damage to the car and bodily injury or even death to the occupants. An awareness of the risks involved with horse ownership should prompt you to make sure you are properly covered. Check with your Homeowners insurance agent and ask if the personal liability coverage in your policy extends to include your horse related activities, on or off the property. If you do not have the protection you need, private horse owner liability insurance is available. When operating an equine business, commercial liability is available to cover activities such as horse boarding, training and riding instruction. It is very important for equine liability insurance policyholders to notify their agent of any significant changes in their exposures and operations. New activities not previously declared or a change in the business location must be submitted for review. 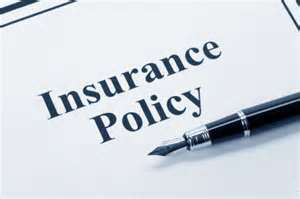 If your policy is not endorsed by the company to reflect the changes, your coverage could be in jeopardy.